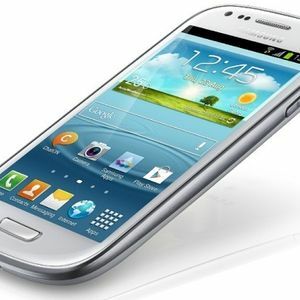 Samsung's new Galaxy S III Mini hopes to offer much of what makes the popular Galaxy S III great, but in a smaller package. Unlike its larger sibling, the S III Mini is powered by the relatively obscure dual-core ST-Ericsson NovaThor U8420 processor clocked at 1 GHz. The processor is backed up by 1 GB of RAM, up to 16 GB of storage, a 4" WVGA Super AMOLED display, a 5 MP camera, and a 1500 mAh battery. More importantly, however, the device ships stock with Android 4.1 Jelly Bean.